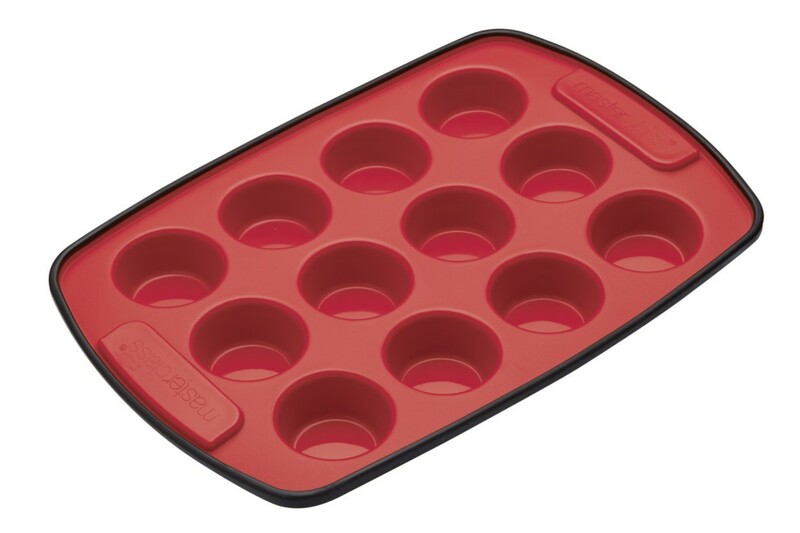 The flexible silicone tray makes it easy to turn out the cakes, whilst the non-stick finish makes it very easy to clean. Very hygenic and does not retain flavours and odours or become tainted. The tray is backed with black silicone material to help heat transfer and reduce cooking times. 290 mm in length, 200 mm wide with 12 holes of 45 mm diameter, 20 mm deep. Oven safe up to 200°C, as well as being dishwasher and freezer safe. Has an easy to grip moulded handle at each end. Always use oven gloves when handling.